Like so much of France, the Loire region is a spectacular blend of history, scenery, food and wine. 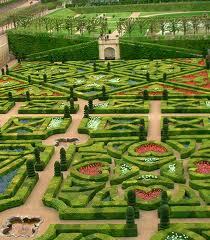 And, as a former getaway for kings and their courts, there is the bonus of breathtaking chateaux and their gardens open to visitors. Our base for visiting the region in the spring of 2007 was the village of Vouvray. It was about a 3½-hour drive, thanks to some nasty rush-hour traffic tie-ups on the highways around Paris. My sister and I had booked a room in a small chateau in Vouvray, Domaine des Bidaudieres. Although it is a sprawling old place, it has only five guest rooms, and on the grounds were vineyards, gardens, an orangerie and a pool. It was quiet and charming and the perfect base for our Loire explorations. Despite a name well-known in wine circles, Vouvray itself is really just a small crossroads town right on the Loire River. Of course, that didn’t mean it wasn’t thoroughly endearing, and offered several excellent restaurants and patisseries. It’s about a half-hour outside of Tours, a much larger town that I’m glad we didn’t stay in. Tours seemed overly touristy, with lots of disaffected European youth lounging around, which gave it a slightly scuzzy air. We had intended to spend a whole day in Tours but ended up cutting it short after a visit to the city’s wine museum and a stroll around the center of town. Our lunch upon arriving in Vouvray was at a restaurant right in the middle of town, Les Chalans (link in French only), which was doing a bustling midday business. The menu offered a taste of the seasonal produce that would reappear over and over in our meals during the trip. It was May, which meant asparagus and strawberry time, and the chefs were taking advantage. For dinner, at the recommendation of our innkeeper, we went to a place down the road, looking out on the Loire, called Les Belles Rives. It was a typical mom-and-pop restaurant that had been there for many years quietly turning out amazing food. The next day, after breakfast at the inn we headed to Villandry, the late-Renaissance chateau that interested us the most because of its spectacular gardens, which didn’t disappoint. Flower gardens, a kitchen garden and fountains — spread across three levels and laid out in geometric patterns. As we toured the interior of the caste, we chuckled over the oh-so European sight of a cat lounging on one of the 17th-century sofas in an exhibit in one of the restored rooms. Can you imagine that at the Metropolitan Museum? Dinner was at a small restaurant called Cave Martin on top of a hill just outside Vouvray. I had roasted monkfish wrapped in pancetta with warm chocolate cake for dessert. And of course a cheese plate — the perfect way to finish off that last half-glass of wine. 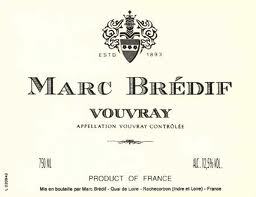 The next day we had an appointment for a tour and tasting at Marc Bredif, a cave in Vouvray (87, quai de la Loire; telephone 02 47 52 50 07). It’s open for tours and tastings from May through October. 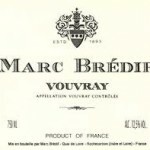 Of course, it specializes in Vouvrays but also offers Chinon, Bourgueil and Saumur Champigny vintages. It was a very hospitable place, and quite generous with tastings. My sister and I were the only people there, so maybe that helped, but they would let us try just about anything we wanted. They emphasize putting their wares on great restaurants’ wine lists and don’t do much retail selling, so this was a great chance to try several styles and vintages of red, white and dessert wines we would never have a chance to experience otherwise. We each bought three or four bottles to bring home, we were so impressed. We went to lunch in the lovely river town of Amboise at a place called Le Choiseul. which had been recommended by our Marc Bredif guide, and it was spectacular. We then strolled through the gardens of the inn’s gardens before heading for our next castle. 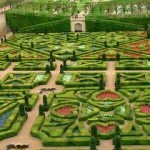 The Chenonceau chateau physically straddles the River Cher and is surrounded by Renaissance gardens. Hanging in the castle is a collection of 16th-century Flemish tapestries, and the small chapel inside the chateau features beautiful stained-glass windows. To cap off a memorable day, dinner was at the Relais & Chateau inn in Noizay, a few miles from Vouvray. A highlight was what they called their chariot du fromage, one of the most incredible cheese trolleys I’ve ever seen, with 13 local goat cheeses, and almost 30 cheeses in all. The combination of a nice fruity/chalky Vouvray with fine goat cheese was perfection itself, one enjoyed many times over during our Loire Valley excursions.